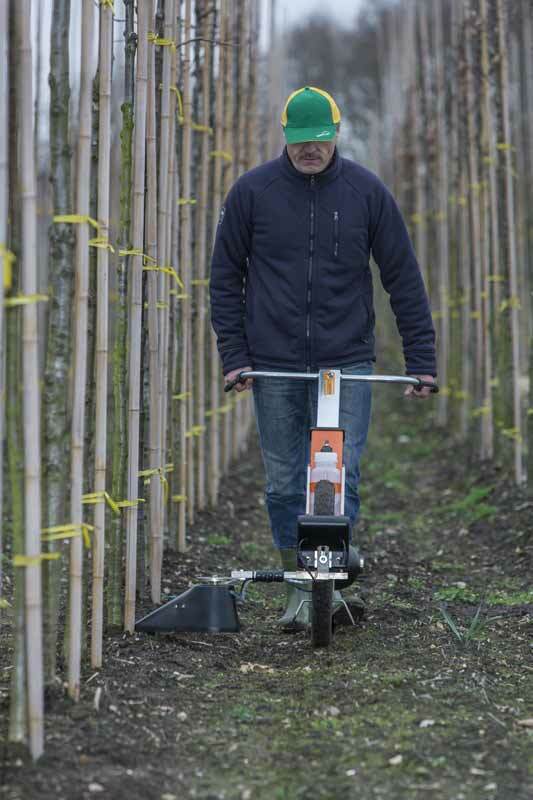 Because the MANKAR®-Roll spraying systems are pushed like wheelbarrows, they are ideal for handling large-scale row cultivation, as well as grass areas or paths and squares with water-bound surfaces. The low weight of the units means that even up sloping terrains are not a problem. 2014 saw the introduction of new MANKAR-Roll models with innovative Flex spray hoods and electronic atomiser and battery monitoring. There is also a clearly visible flow control. Like their predecessors, MANKAR-P and GP models, the patented segment rotation atomiser and a wheel-driven pump guarantee path-dependent, accurate and economical herbicide metering. 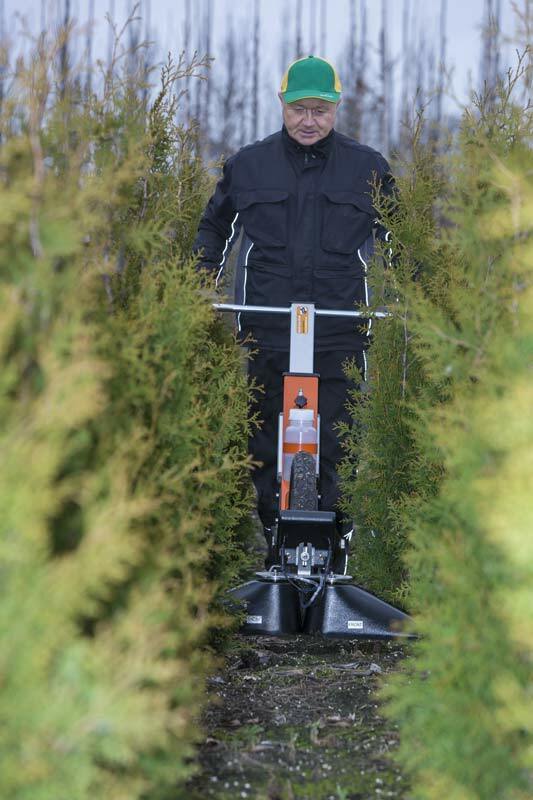 The narrow wheel, with a diameter of 53 cm, is also ideal for uneven ground, and ensures that the unit remains compact and easy to handle.